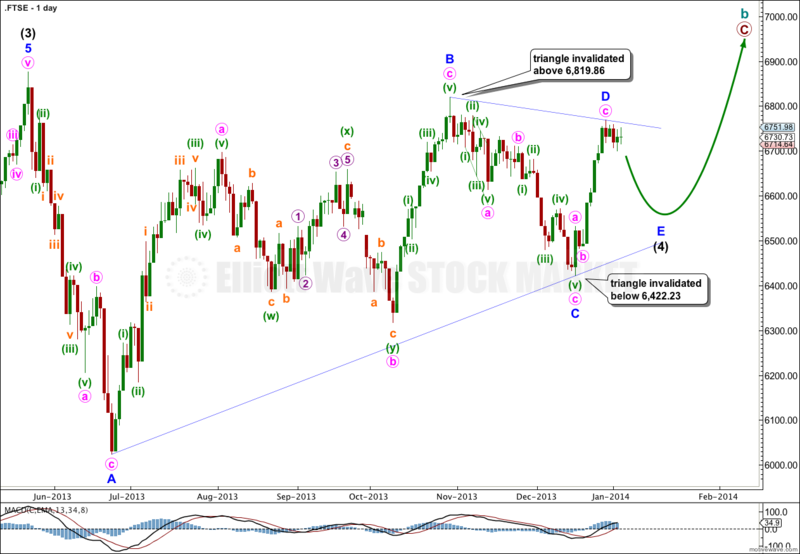 Last analysis expected downwards movement to be a second wave correction. This now looks very unlikely because the second wave would have breached the lower edge of an acceleration channel drawn about the first and second wave of one degree higher. 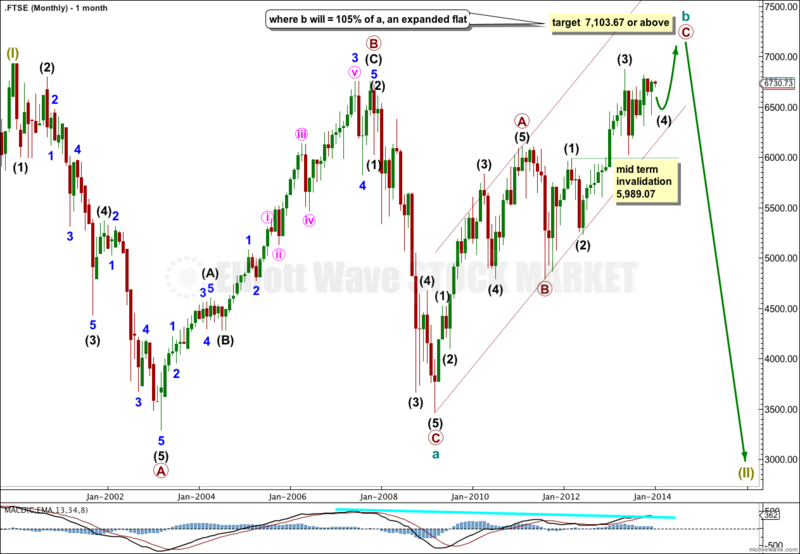 What is now more likely is a continuation of intermediate wave (4) as a regular flat correction. A large super cycle degree flat correction may be unfolding for super cycle wave II. Within the flat cycle wave a is a zigzag with a truncated primary wave C.
Cycle wave b is an incomplete zigzag. Within it primary waves A and B are complete, primary wave C is incomplete. Within primary wave C intermediate wave (4) is most likely incomplete. 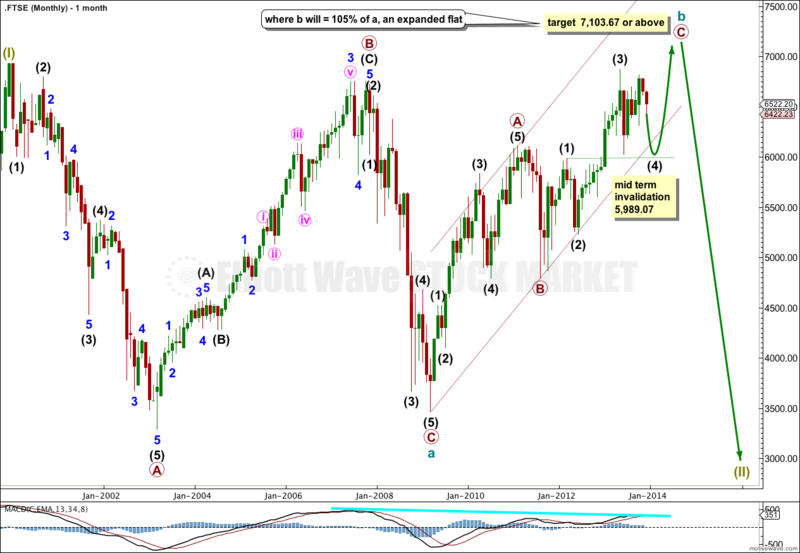 When it is done a final upwards wave for intermediate wave (5) would be likely to take price to 7,103.67 or above so that cycle wave b is 105% or longer than cycle wave a. 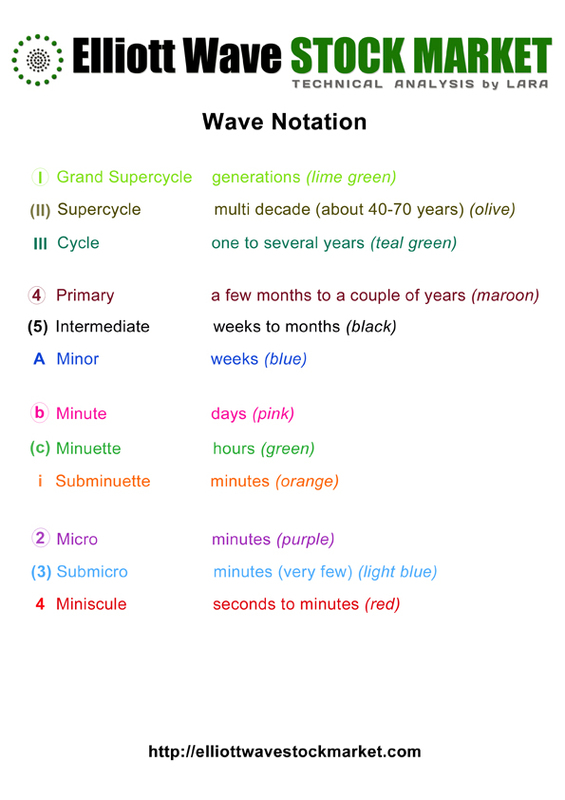 This would see super cycle wave II an expanded flat correction which is the most common type of flat. Within primary wave C intermediate wave (4) may not move into intermediate wave (1) price territory. This wave count is invalidated with movement below 5,989.07. At this stage it looks most likely that intermediate wave (4) is unfolding as a regular contracting triangle. Intermediate wave (4) cannot now be a combination because the second structure of the double would have to be a flat (the first would be a zigzag), and within that possible flat so far although its A wave would subdivide as a three, the minimum requirement of 90% for its B wave has not been met. 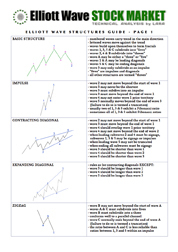 Within the triangle minor wave B is a 93% correction of minor wave A, minor wave C is a 50% correction of minor wave B, and minor wave D is an 87% correction of minor wave C.
Minor wave E is most likely to undershoot the A-C trend line. 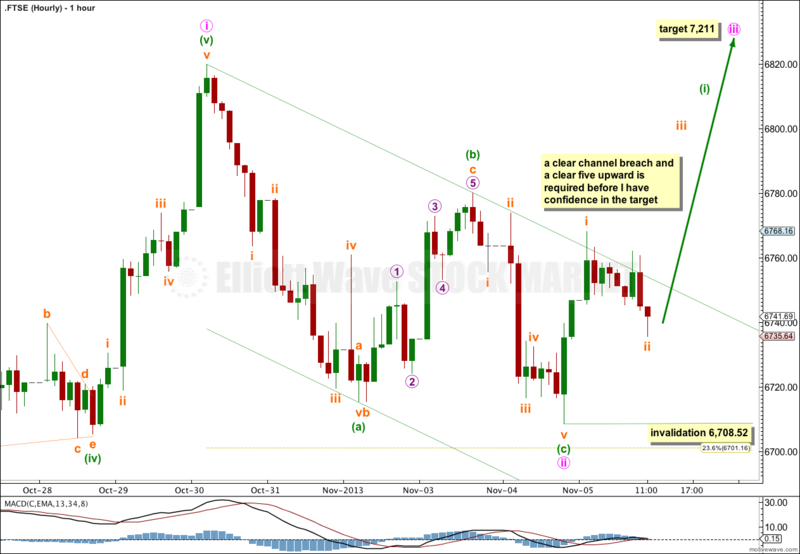 Minor wave E may not move beyond the end of minor wave C below 6,422.23. Minor wave E may have begun with a leading contracting diagonal for minute wave a, and a small zigzag for minute wave b. If minor wave E ends between 6,492 and 6,475 then it would be 80% to 85% the length of minor wave D. This is a common length for subwaves of triangles. 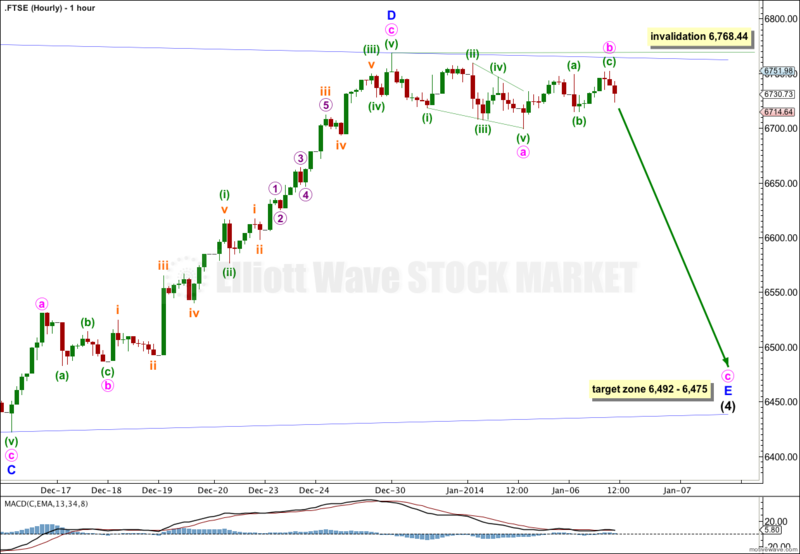 Within minor wave E, if minute wave b moves higher it may not move beyond the start of minute wave a above 6,768.44. 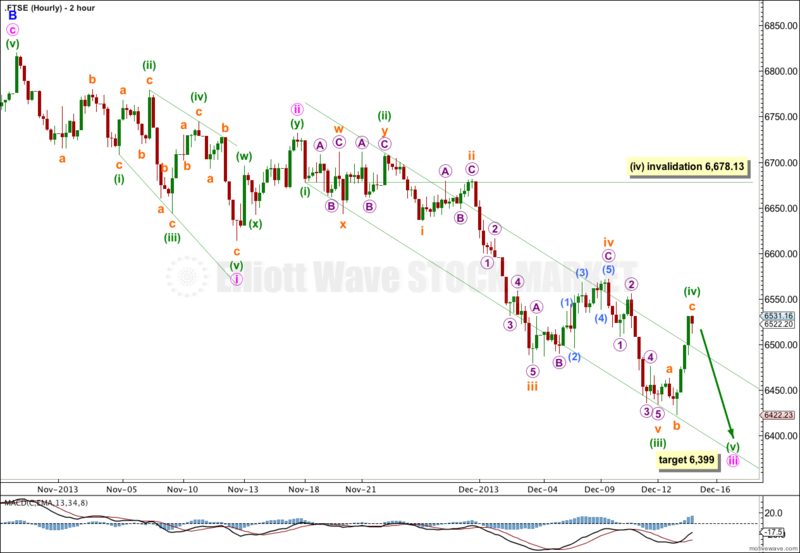 Last analysis on 14th October, 2013 expected more upwards movement for the start of a third wave. The mid term target at 7,406 has not been reached, but the structure is still incomplete. Within intermediate wave (4) it is possible to see this structure as a completed zigzag. The following upwards movement for minor wave 1 of intermediate wave (5) is ambiguous. It can be seen as either a three or a five. This wave count sees it as a five. 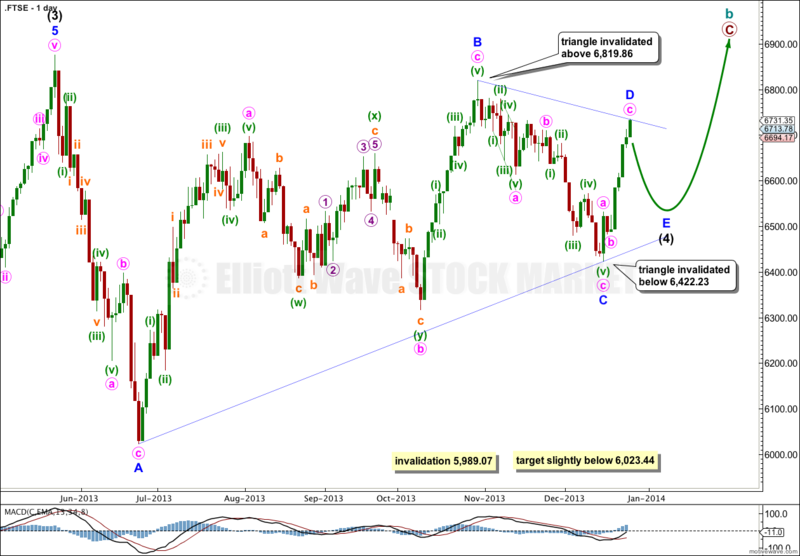 Downwards movement for minor wave 2 is now a complete double zigzag. The second zigzag in the double made only a slight new low below the first, but did move price lower. At 7,406 minor wave 3 would reach 1.618 the length of minor wave 1. This target is about 30 trading days or sessions away. Within minor wave 3 no second wave may move beyond the start of the first wave. This wave count is invalidated with movement below 6,316.91. Within minor wave 3 so far minute waves i and now ii should be complete. 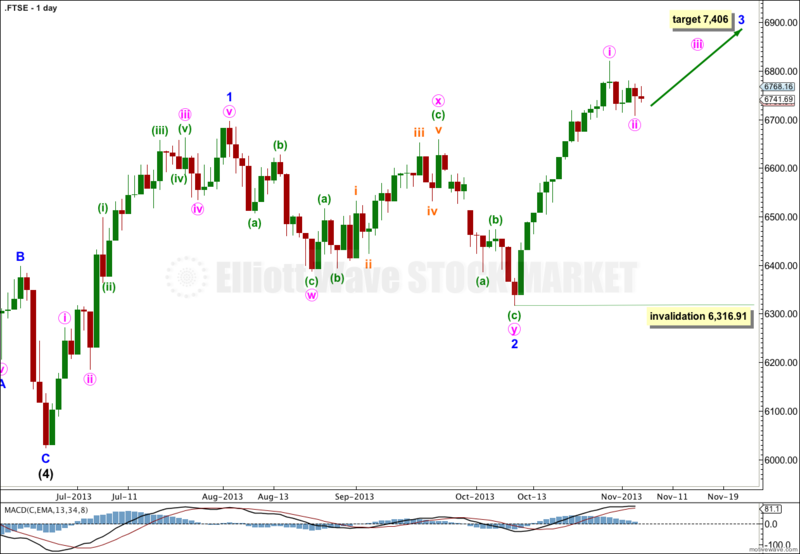 This wave count expects an increase in upwards momentum over the next one to two weeks. 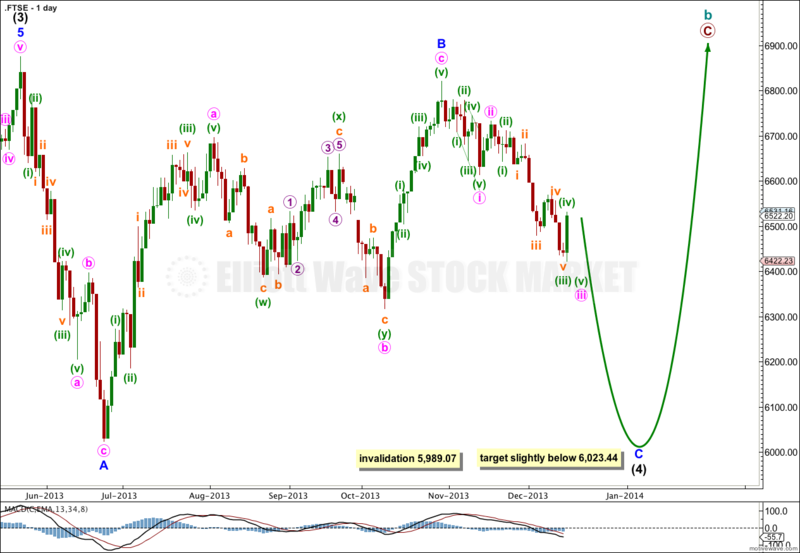 Minute wave ii is a complete zigzag and very shallow, ending just short of the 0.236 Fibonacci ratio of minute wave i. Within it there is no Fibonacci ratio between minuette waves (a) and (c). 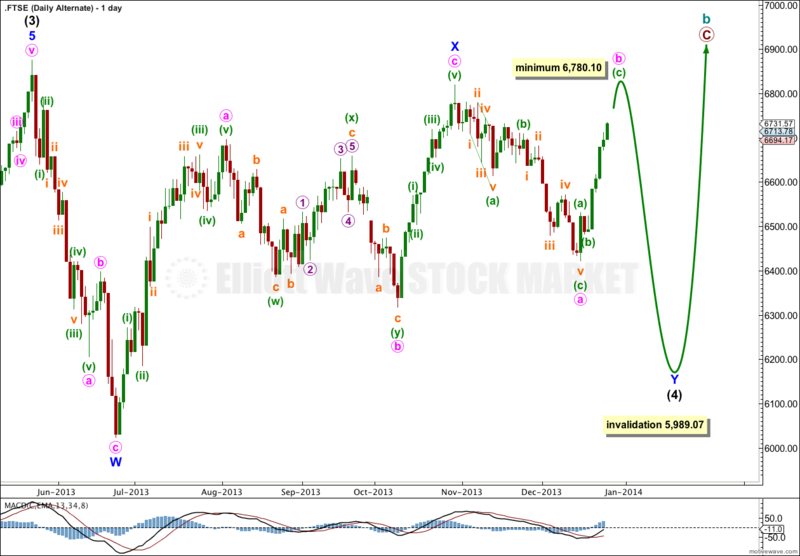 It is possible that minute wave ii may continue lower as a double zigzag, because this first zigzag is so shallow. If price moves below 6,708.52 then I expect this is what would be happening. At that stage I would expect more downwards movement for a few days to either of the 0.382 Fibonacci ratio at 6,628 or the 0.618 Fibonacci ratio at 6,509. When there is a very clear channel breach of the downwards sloping channel containing minute wave ii, and also a clear five upwards on the hourly chart, then I would have confidence in the short – mid term target at 7,211 for minute wave iii. While price remains within the channel and there is no clear five up then the possibility of further downwards movement will remain. If minute wave ii is to continue yet further then it would be either as a flat, double zigzag or combination. All three of these possibilities would require a three wave structure upwards on the hourly chart at this stage.